The Securifor 3D welded mesh panel system is manufactured to the same high specification as the well accepted 358 Security fencing system, but has been significantly enhanced with the provision of pressed horizontal 'V' shaped beams. This feature adds additional strength and rigidity to the panel whilst further improving the visual aspect of this high performance system. The discreet visual appeal has a low impact on the surrounding environment and makes the system ideally suited for the protection of schools, hospitals, community premises and industrial and commercial developments. 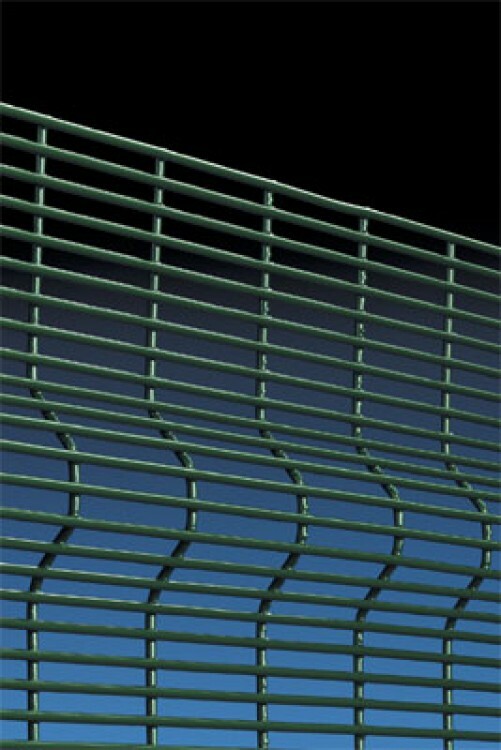 The small mesh offers a finger and toe proof profile, combining a high resistance to both climbing vandalism and attempts to attack the panel by cutting with hand tools. Specially designed steel fixing brackets are used to secure the panels to the front of the posts. 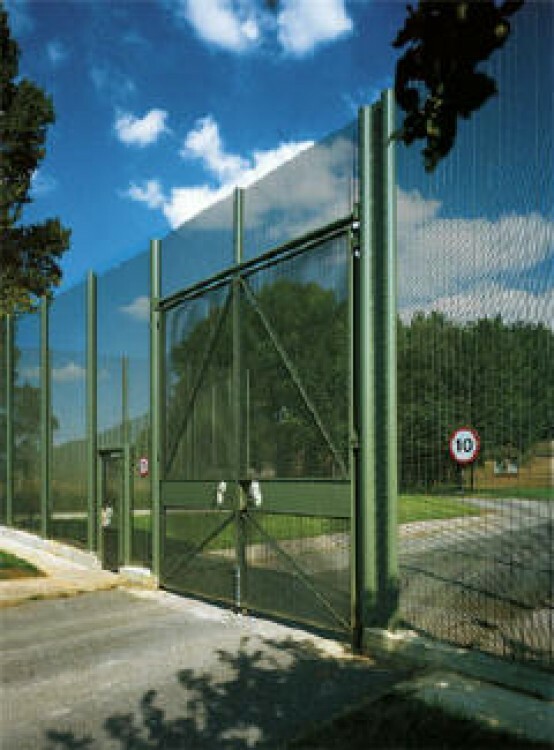 The design is functional and there are no unsightly projections beyond the fence line resulting in a safe environment in the areas where Securifor 3D is fitted. Architectural grade polyester powder coated in RAL 6005 (green) or RAL 9005 (black) as standard. Other colours are available upon request. A full range of gates is available to match the fencing system. Securifor 2D is the ultimate heavy duty weldmesh panel for providing the highest degree of security with the most discreet visual impact on the environment. The panel has the same toe and finger proof profile as Securifor 3D and is further enhanced by the inclusion of 6mm vertical wires and additional 4mm wires at 150mm centres to improve rigidity. The design makes it very difficult to cut through the panel with simple hand tools. Discreet visual impact on the environment and excellent see through visibility makes this panel ideal for use in areas where CCTV is in operation. The high quality coating gives Securifor 2D a low maintenance and long life. 76.2mm x 12.7mm welded at each intersection. Horizontal wires: 4mm diameter at 12.7mm centres on the attack face, and intermittent 4mmm double wires at 152.4 mm centres on the inside face. Vertical wires: 6mm diameter at 76.2mm centres. The post has a single row of M8 threaded inserts which allow the panels to be but fitted with specialised pressed steel brackets and are pitched at 2.55m centres.